I've yet to catch one that large.. hopefully this year will be the year! I figured this would be a good place to show off my gear.. I'm usually using my quantum accucast, but I like a variety. I've got two heavy tackle spin casts that I really like, I've hauled in some nasty carp on them, and I have never had a problem with either. I've had that black zebco reel since I was a kid, so I'm never letting go of it . The micro spincast is for scuba fishing now, I thought it would be fun to dive with a pole and fish, and it is (catch and release of course ). I have to tell you, that rhino spinning reel is amazing, better than any spinning reel I've used before and its only 50$. The rhino baitcaster is rubbish though, I'll probably mod it later. How tall are you DMS? that is a monsterous striper!!!! These are really amazing pictures and fish.
. Last photo courtesy a muskie. Felt bad and released the remaining catfish. 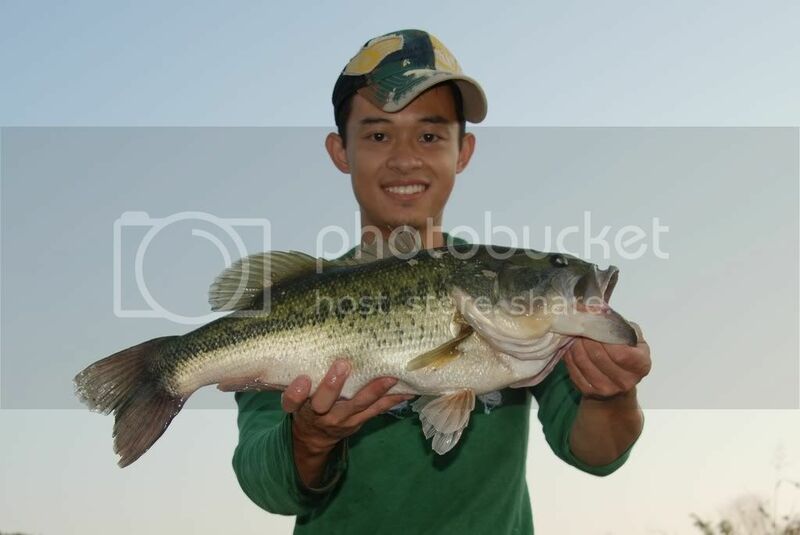 my bass, about 3 to 3.5 lbs, (dident have scale) i caught it on a bober and shiner in a natural pond.